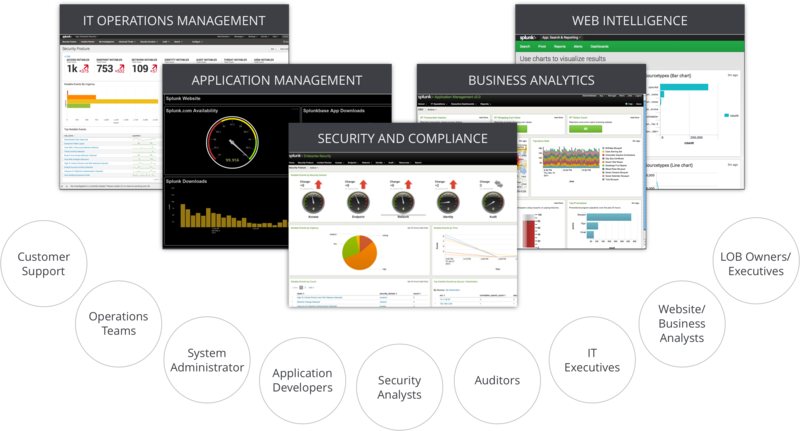 Lean Apps team of Splunkers helps companies implement Splunk - both on-premise and cloud versions. Our Splunkers team of Splunk Administrators, Splunk Architects, Splunk Developers and Splunk Enterprise Security experts, think, talk and breath machine data. Machine data is the data produced by all digital systems and devices in your company Infrastructure. This can be all computers, servers, mobile devices, applications, call records, security systems, network devices, embedded systems, IoT devices (sensors), big data systems et al. Massive amount of machine data is produced by all these machines every second of every day. Splunk enables organisations to gain Operational Intelligence for IT and security on real time basis. It converts machine data into an asset - that can help companies predict problems beforehand and tackle them before it actually happens. It is no news that Splunk ES app has been placed as top SIEM solution in Gartner Magic Quadrant for last four years. Splunk Enterprise Security (ES) is a SIEM that provides insight into machine data generated from security technologies such as network, endpoint, access, malware, vulnerability and identity information. It enables security teams to quickly detect and respond to internal and external attacks to simplify threat management while minimizing risk and safeguarding your business.